multiple regions and multiple platforms. The gaming industry is on its way to becoming a huge industry, garnering international acclaim and success over other industries. As the global gamer community grows, the need to find a common ground with them is also increasing, giving rise to the need for game translation in multiple languages and across multiple devices. The game industry is a highly lucrative industry with video gaming segment set to generate $90 billion by the end of the decade. With the rise in number of online distribution platforms and accessibility on multiple devices, gaming has become much more diversified and advanced. Multilingual Localization:Ensure multilingual support for localizing your games in more than 100 global languages and across multiple devices for enhanced user experience. Certified Linguists: Avail translation of your video and console games by expert and certified linguists having a commendable experience in multilingual translation. 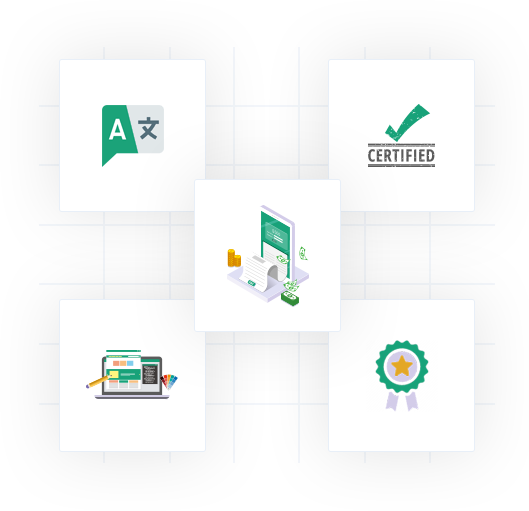 Quality Assurance: Guarantee quality testing and re-assessments of your translated games and documents for a seamless gamer user experience. Formatting and Design: Enhance user experience through our regional formatting and design of games for maximum impact and reach for the global audience. Affordable Rates: Get your games translated at market competitive and affordable rates for a seamless translation and localization experience. Mars Translation leads its services to multiple industries in multiple languages. How can I get my games translated? Mars Translation is a translation and localization agency proficient in delivering quality localization and translation solutions. Due to its longs standing position of delivering these services since 17 years, Mars Translation has been providing seamless translation experience to its customers from multiple industries. To get your games translated, simply fill our quotation form or talk to our localization experts for free in case of any query. How do I know my translations are verified and tested before being returned? Mars Translation, being a localization and translation expert, understands that your games need to be flawlessly translated before hitting new markets. That is why our expert linguistic testers are native speakers of your target language and know the devices your games will work on. Accordingly, extensive linguistic testing is done on the translated games and any errors detected and eliminated before they are returned to you for an error-free gaming translation services experience. How Much Does It Cost to Get My Games Content Translated? Mars Translation is the localization and translation agency that has been serving the international business community for almost two decades. We believe in not only delivering quality services but also in making these translation services affordable and accessible to them. That is why Mars Translation’s translation rates are among the most affordable and competitive in the translation marketplace, with standard rates starting from as low as USD 0.04 per word. 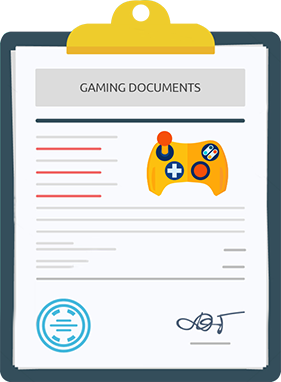 You can get your games documents translated at the lowest rates in town without any hassle of paying additional fees for your games and video game translations. How do I ensure my translations are of the highest quality? Mars Translation, being in the translation services industry for almost two decades, is an established member of American Translators Association and a keen member of Globalization and Localization Association (GALA), addition to being GDPR-compliant. We deliver accurate localization and translation of your games with all the graphics, animations, and terms intact to ensure they appeal to the target customers. Be assured of a flawless video game localization experience with Mars Translation. How long does it take for a game to be translated? Delivering quality backed services of translation and localization has always been a forte of Mars Translation. The expert linguists of Mars are not only adept at delivering professional translation services for your projects, but are also capable of delivering them before the due date. After submitting your games for translation, our expert game translators will translate them in less than 48 hours and deliver it back to you before the stipulated time. Speed and accuracy are two of the fundamental principles at Mars Translation and our linguists don’t fall short of abiding by these principles. Mars Translation Is At Your Service 24 Hours A Day, 7 Days A Week, 365 Days Around The Year. Mars Translation is a 24/7 language service platform by CCJK Technologies. We Provide competitive prices and have native translators from around the globe.